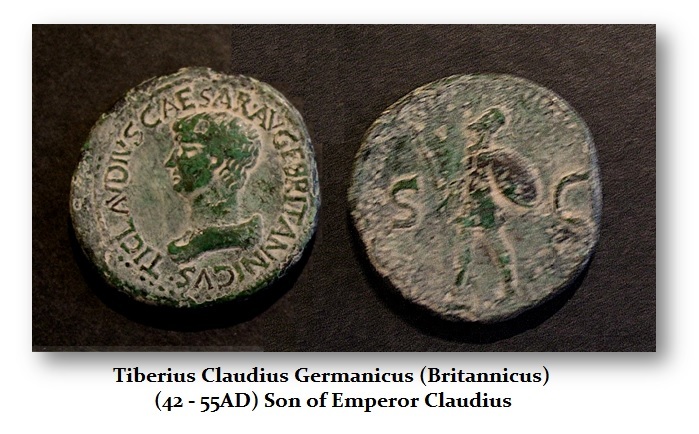 Tiberius Claudius Germanicus (Britannicus) was the son of Claudius and Messalina, his third wife. He was born in February 41 AD just one month after his father’s accession. Britannicus was originally named Germanicus, after Claudius’ brother. Nonetheless, his name was formally changed to Tiberius Claudius Caesar Britannicus in celebration of his father’s conquest of Britain in 43AD. Britannicus, as he is known to history, grew up at court and became close friends with the son of one of his father’s generals, Titus. 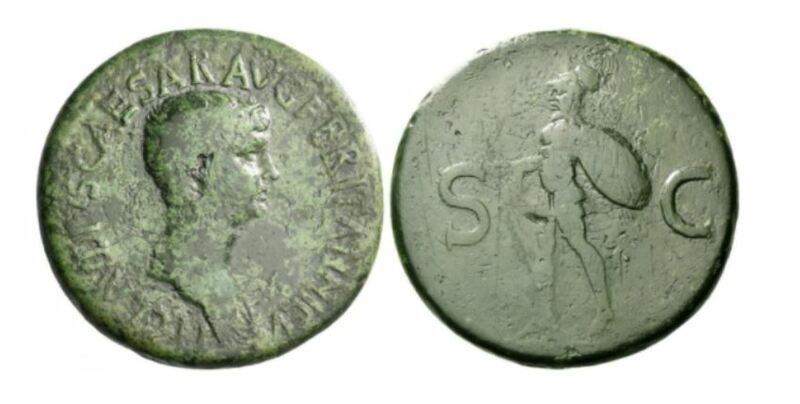 As fate would have it, Britannicus would never become Emperor, but his boyhood friend would one day issue coins in his memory when he inherited the throne. 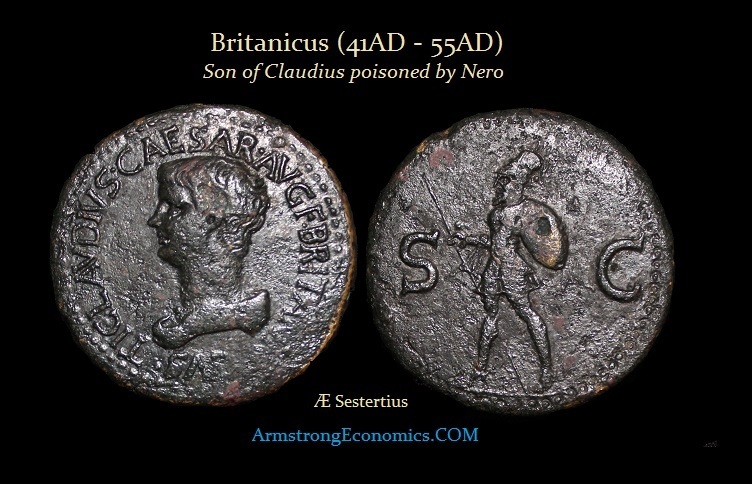 Britannicus was poisoned on the orders of Nero in 55AD while eating dinner at the palace. 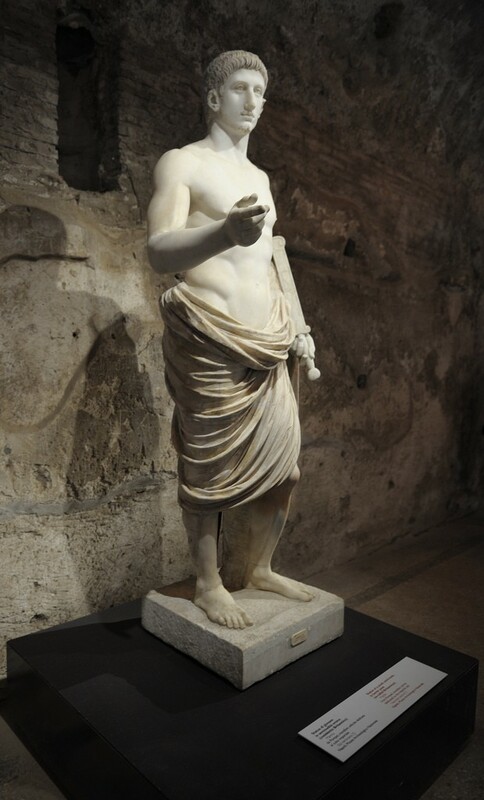 Nero had his body quietly removed and buried in secret. The only coinage of Latin origin is the sestertii of Britannicus which has been a matter of some dispute as to who issued the coinage. 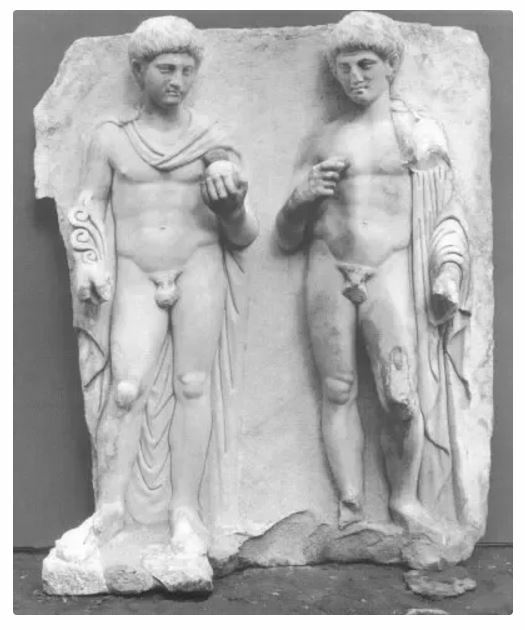 Previously, the issue had been attributed to Rome around the end of Claudius’ reign when Britannicus adopted the toga virilis. However, such an attribution was problematic, given the fact that the Rome mint was not producing the bronze as at that time. This resulted in the coinage being attributed to the early years of Titus, when many restoration and commemorative issues were being struck. This appeared logical given the reported close friendship between the Britanicus and Titus as boys. 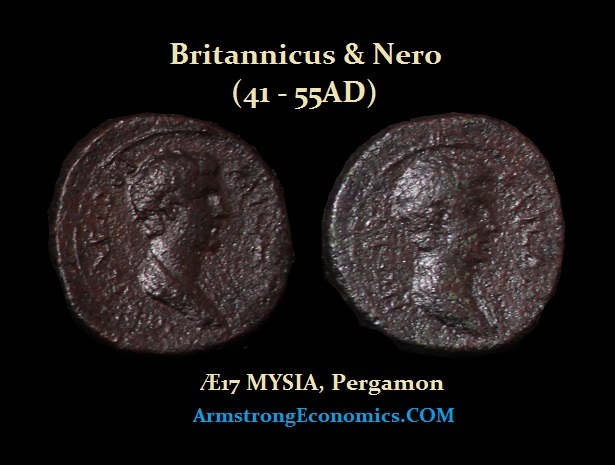 Nevertheless, with the fall of the Iron curtain reasonable numbers of Latin coins (sestertii and dupondii) in the name of Britannicus, Agrippina Jr., Nero Caesar, and Nero Augustus have been found in the Balkan region. This appears to be aof Thracian origin for the series based upon the style and fabric of the coins. 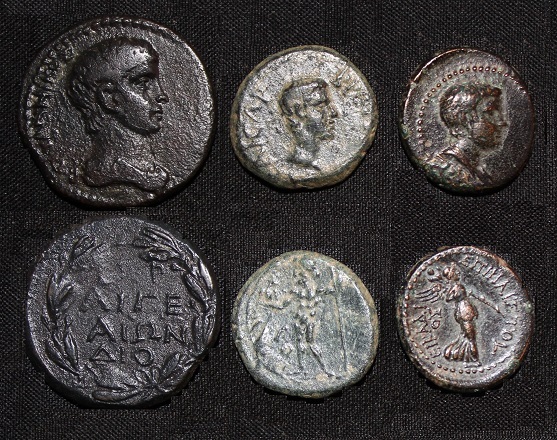 Additionally, find locations of these Latin bronze coinage would have been struck for use by the legions servicing the border at that time resulting in Latin coinage rather than Greek provisional issues.